Merritt Aluminum, Inc is a true professional, FL state licensed contractor serving Marion, Levy, Alachua counties that builds your project the right way...no shortcuts, no cheap substitutions and no hidden costs. As our customers already know, our integrity speaks through our fine quality work. Hiring a contractor can be a stressful time and we do a lot to take the stress away. Our personal service and years of experience doing what we do makes building your project a good experience rather than a headache. From the moment we start working with you, our focus is on your needs and making sure that you are satisfied. In all we do, you will find Merritt Aluminum offer incomparable service and construction quality that lasts. Don't risk shoddy and short-cut work, call us today! We carry the best home improvement products with the highest quality and your satisfaction is Guaranteed. We offer professional installation on all our products or you can do it yourself and save money. 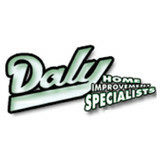 Daly Home Improvement Specialists have been providing professional installation for any sized property improvement project for more than 60 years. Our team of qualified craftsmen design, build and install any home improvement product to add to the beauty of your existing property. Whether you require custom windows, screen rooms, an awning or replacement front doors… Daly Aluminum has you covered and can do your window installations, door installations, install siding and more. Ask us about our different styles of acrylic windows, vinyl windows and glass windows. Licensed, Bonded and Insured the Daly Aluminum team is ready to improve your home with the highest level of quality and professionalism. 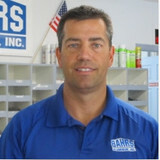 We are ready to assist you with your home improvement in Palm Harbor, Tampa, New Port Richey and surrounding areas. Let our sales team give you a FREE estimate. Use our quick Free Estimate Form or pick up the phone and call us today. Blackshear burst onto the construction scene in Citrus County in 1977 with a brand new product line of aluminum soffit and sidings. They were an instant hit with their dynamic sales techniques, and expert installations. Soon, builders throughout the tri-county area were clamoring for their services, requesting more information and installation of other maintenance-free aluminum products, such as screen enclosures, seamless gutters, even garage doors and openers. Their current employer's lack of foresight and wisdom led the Blackshears to break away in January of 1979 to form Blackshears II Aluminum, Inc.
Bahr’s Aluminum is a family owned business that has been providing a variety of products and services to the construction industry for over 25 years. Our motto since the beginning has been "We help the do-it-yourselfer" and our many years of experience allows us to help the customer choose which products and applications are best suited to their construction or remodeling needs. As always, we also provide installation for those in need of that service. Here at Bahr’s Aluminum we specialize in many areas when it comes to aluminum products. We have a certified building contractor license with the state of Florida and carry the required insurances that come with running a professional business. Since 1986, we’ve been helping turn customers’ outdoor living dreams into reality! From designing, choosing the right products or installation, we have the expertise to help you bring the indoors Out! Over the last 21 years, Associated Construction Products has grown from a small specialty sub-contractor into one of Florida’s largest specialty site contractors. 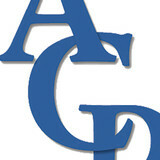 ACPFL is a family owned and operated business where our foundation is built on quality and integrity. This foundation, coupled with a driven and experienced employee team had enabled ACPFL to expand into many facets of the construction industry. ACPFL is a turn-key company that specializes in taking a project from inception to completion. From engineering to installation, ACPFL is a fully integrated operation working together to deliver the highest standards in quality craftsmanship. The dedication and integrity of the ACPFL Team, pride in our accomplishments, and strong commitment to quality are the cornerstones of our foundation, a way of life that has made ACPFL one of the largest specialty site contractors in Florida. Let us custom-design your backyard living area to reflect the way you live. Grill islands, fireplaces, fire pits, hearths and intimate conversation nooks create living spaces that can provide decades of outdoor enjoyment while adding lasting value to your home. Whether you’re into entertaining on a grand scale or a more relaxed lifestyle, we have the knowledge and experience to assist you in achieving the perfect setting – one that will serve as a focal point of family gatherings for years to come. ACPFL is your total solution and will handle everything from design, financing, permits, material selection and construction. Marlin Marine Construction located conveniently in old Homosassa, Florida in Citrus County on the nature coast of west central Florida. We are a family owned and operated company offering only the highest quality docks and lifts. Our superbly constructed seawalls are built to last. We will work with you to provide you with a custom designed dock, whether you need a floating or stationary dock, a boat lift and dock combination, tie poles, or piling wrap, or a myriad of other products. We serve the local and surrounding areas. Our considerable research and testing of materials and designs allows us to guarantee our products will last and that you will be 100% satisfied. We use only superior quality materials to ensure you a lifetime of beauty and enjoyment. You may order products from the internet for a lesser price but you won’t get the quality and guarantee we provide. Due to our dedication, commitment to service, and attention to detail, our many residential and commercial customers have chosen Marlin Marine Construction knowing that the job will be done right, on schedule, and to their satisfaction. All-Brite Pressure Cleaning is a Licensed & Insured company offering a wide range of residential and commercial pressure cleaning services. We have over 15 years of experience in pressure washing and property maintenance services. When you need your House, Screened Pool Enclosures, Roof, Driveways & Sidewalks safely pressure cleaned, all you have to do is just give us a call. America Metals is a locally owned and family operated State Certified Aluminum Contracting company. With over 100 years of combined experience, we can help you with all your aluminum needs. Our team can offer unmatched customer service and value while protecting your home with years to come. We are the aluminum company of choice for the most respected local builders from Tommy Waters Custom Homes to Custom Design Renovations and Graetz Remodeling , so you know American Metals is a name you can trust. Let us help you protect your home and make it the house of your dreams. Do not take chances with the others, trust the pros at American Metals. Advanced Building Supplies, Inc is a premium Brazilian Hardwood Retailer. Our low overhead allows us to pass on savings to our Customers. You should always expect top quality premium grade decking with minimal imperfection or bowing. We offer complete support of for you when developing your Brazilian Deck. Our company has a great customer support service and our staff has been involved with construction and deck building for years. We have shipped to Central America, Europe, and all over the US. We are dedicated to satisfy our customer’s need and we frequently visit our customers to verify their installation, provide tips, and monitor our products. Advanced Building Supplies believes in providing support both before and after the sale. We are dedicated to satisfy our customer’s need and we frequently visit our customers to verify their installation, provide tips, and monitor our products. Advanced Building Supplies believes in providing support both before and after the sale. We are the most well trained commercial pressure washing company in Spring Hill FL. Our equipment is one of the most top of the line hot water systems that money can buy. We take pride in every single job from residential to our biggest Spring Hill FL commercial pressure washing jobs. We are committed to giving you a quality job and exceeding your expectations. Creative Decking & Solutions Inc.
Creative Decking & Solutions, Inc, / Preferred Pavers were developed to bring higher quality materials, as well as many shapes, colors, and products to accommodate the constant change of design and needs to our customers. We are focused on installing a higher standard product efficiently, creating value for our customer, and committed to installing our products to the ICPI standards of our industry where applicable. ABS Wood is one of the leading Brazilian hardwood retailers in US. We supply premium quality Brazilian hardwood decking like tigerwood decking, garapa decking and cumaru decking at reasonable prices. To know more about our hardwood decking browse our website today. What services do deck and patio builders in Citrus Hills, FL provide? To help you choose the ideal style, configuration and materials for your deck or patio, your deck and patio contractor will survey your Citrus Hills, FL lot and your home to come up with a design that complements your exterior as well as being structurally sound. He or she will recommend sizes, heights and construction materials that suit your lifestyle and climate, as well as explain the best stain or finish options. Additionally, deck and patio professionals can provide insight into additional components such as outdoor kitchens, patio covers, fire pits, outdoor lighting, arbors and more. Your deck and patio professional might work closely with another Citrus Hills, FL lawn and landscape professional. Here are some related professionals and vendors to complement the work of decks, patios & outdoor enclosures: Landscape Architects & Landscape Designers, Garden & Landscape Supplies, Stone, Pavers & Concrete, Landscape Contractors, Building Supplies. Find a deck and patio builder in Citrus Hills, FL on Houzz.